“Flynn Parker Bertisch was born in Miami, Florida and grew up primarily in Palm Beach County. 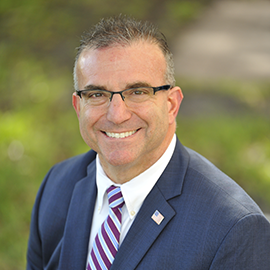 After graduating from the University of Massachusetts-Amherst in 1991, Flynn worked as a police officer for the City of Boca Raton, Florida before attending the University Of New Hampshire School Of Law (formerly known as Franklin Pierce Law Center). Since graduating law school in 2002, Flynn’s practice focuses on Criminal Defense in State and Federal Courts. He has handled numerous cases in a wide range of areas including: DUI, Assault and Battery, Drug and Firearm Trafficking, Burglaries and Robberies, Violations of Probation and Juvenile Delinquency. Flynn uses his first hand knowledge of police work to dissect criminal investigations and pinpoint various weaknesses in each case. Flynn is a member of NACDL, FACDL, and PBACDL and has been recognized in Florida Super Lawyers Magazine”. The Law Offices of Flynn P. Bertisch was founded on the belief that everyone is entitled to personalized representation, and we are dedicated to helping you find the best possible resolution for your case. You will feel secure that you have one of the best criminal defense trial attorneys in your corner. Flynn is passionate about giving each and every client catered defense and will fight to protect your rights.